Where could I find interest accrual rates for wage garnishments? I am in the process of filing for a wage garnishment again a previous employer and one of the forms as asking me to supply the interest rate that the outstanding balance will be increased by if not paid. I have a judgement against them that lists the total amount but nothing that mentions the rate if there were to be no payment. Is there some type of public standard rate out there that would be used in the event it is not explicitly mentioned? 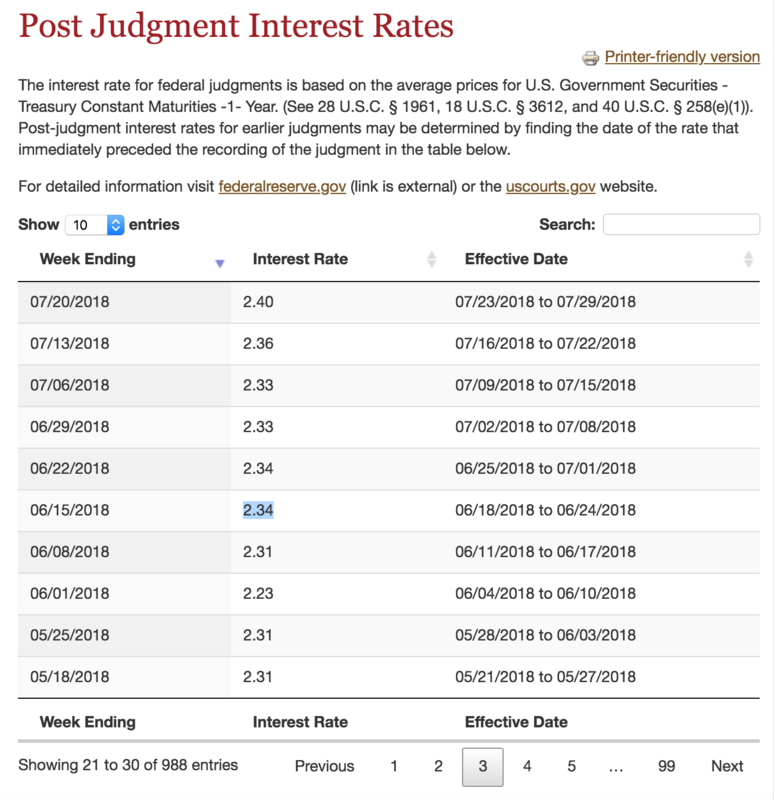 It appears that I find the date that comes right after the judgement issue date and that is the interest rate? In this case it looks to be 2.34% per year? Yes. The relevant jurisdiction sets and publishes this rate, it’s called the “post-judgement rate” or similar - you will need to find it. Are there truly legal limits on US interest rates? Where to find statistics on incarceration rates for a certain time period?